Blackest Ever Black, the label who've been responsible for some of our favourite dark and noise-scorched sounds over the last couple of years, have announced that this October will offer something of a curveball in their catalogue. 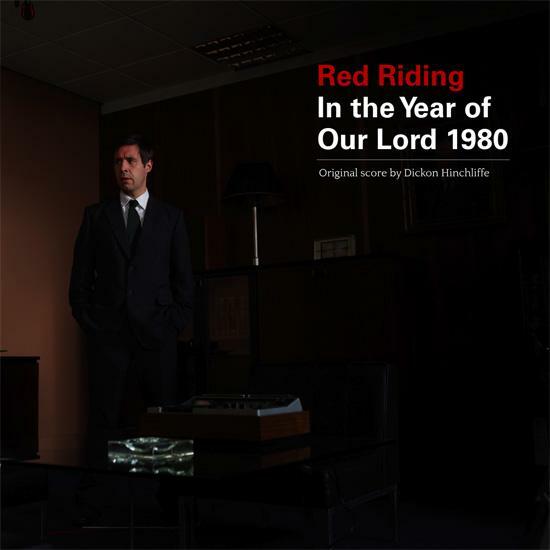 They're set to release the first vinyl edition of Tindersticks founder member Dickon Hinchcliffe's score to Channel 4 & Revolution Films' 1980, the second film in the Red Riding trilogy, adapted from David Peace's novels. The film, set in Yorkshire during the time that the Yorkshire Ripper was at large, was first screened in 2009, and featured an impressive ensemble cast including Maxine Peake, Paddy Considine, Peter Mullan and Warren Clarke. In his description of the release, Blackest Ever Black head Kiran Sande explains that, while the other two films in the trilogy, 1977 and 1983 (directed by Julian Jarrold and Anand Tucker respectively) were both striking in their own right, James Marsh's 1980 "somehow seemed to penetrate deeper, hit harder, and linger longer and more vividly in the memory ... Crucial to the mesmeric, elegiac and ultimately pincering, punishing effect of 1980 is its music, composed by Dickon Hinchliffe and performed by a small string ensemble augmented with bass, guitar and percussion." You can listen to three pieces from the soundtrack via the embed below. "Here we had a vision of what British television could (still) be like," says Mark Fisher in his liner notes for the release. "Director James Marsh and screenwriter Tony Grisoni constructed a film that was expressionistic, fractured, mythic. 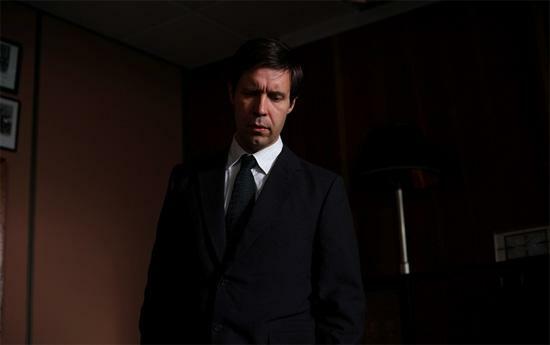 Marsh drew the best of an excellent cast, led by Paddy Considine, perhaps the most gifted British actor of his generation. Somehow, Marsh and Grisoni broke free, not only from the conventions of current British television, but also from the mediocrity that reigns in recent British cinema." The 1980 score will be released in late October. Full details, liner notes and pre-order links are available at the Blackest Ever Black website. The label also have plenty of activity planned in the coming months, including a party session at London's Corsica Studios (click here for more) and releases from Moin - a new Raime side project - and Tropic Of Cancer.